Dragon Medical One (DMO) is a secure, accurate, cloud-based speech recognition solution for doctors, nurses, and other healthcare professionals. It provides a fast installation process, a single sign-on approach, and a simplified user interface. All of this makes setup and usage of the software easy and uncomplicated—and helps clinicians effectively dictate into their EHRs. 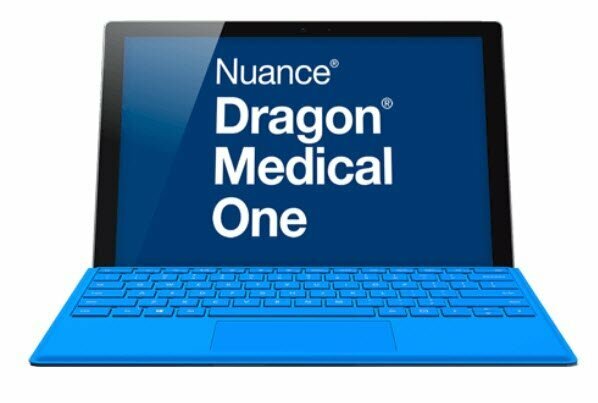 And, as Nuance’s premiere SaaS solution for healthcare documentation, you can expect to see enhancements and improvements to Dragon Medical One on a regular basis. Dictating with DMO is relatively straightforward. After a few minutes of installation, you can plug in your PowerMic III and begin talking. You don’t have to speak slowly or robotically, either: Dragon transcribes your normal voice and manner of speaking with impressive accuracy. As you’re dictating, if you do need to correct or format a word, that’s easy as well. For instance, to select a particular word, just say “select” and the word you want. DMO highlights the word, and then you format it by saying “bold that,” or make a correction with “correct that.” There are also built-in auto-formatting rules for things like social security and telephone numbers, so you don’t have to dictate all of those hyphens. In addition, voice commands enable you to move around your document or add blocks of text. For instance, say “insert before/after” and then a particular word, and Dragon will put your cursor before or after that word. If you need to insert a block of text to use over and over again for a report, that’s taken care by the auto-text feature. Speak the phrase “manage auto-texts” to set up one of these commands, and then use the command name to insert text instantly. If you’re working in an auto-text with variable fields, indicated by [square brackets], you can use the “next field” and “previous field” commands to navigate your report. If you come across a word or proper name that isn’t being recognized right away, you can train DMO with the command “Manage Vocabulary.” Once the vocabulary window opens, type out the word and then train Dragon to recognize your voice when you speak it. For numbers, Dragon spells out 1-9, so if you want the number “1” instead of the word “one,” say “numeral one.” You may also find a quirk where numbers between 1,000 and 9,999 don’t put a comma in place—but numbers above 10,000 do. Nuance may change this in a future release. You have the ability to anchor Dragon to wherever you want to dictate. For instance, open Microsoft® Word, turn on your microphone, and then say, “Anchor speech focus.” Whenever you dictate, your text will appear in Word—even if you click into another program. To dictate into a different window, just say, “Release speech focus” and click into that window. 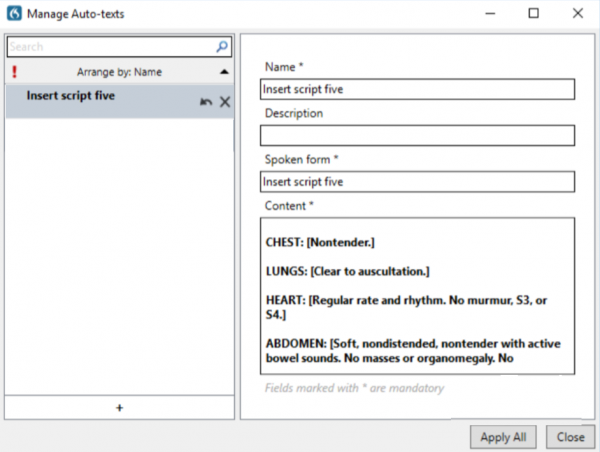 Dragon Medical One is an excellent solution for clinicians who need a managed speech recognition application that’s easy to use. Setup only takes a few minutes, and then you can log in and begin dictating right away. After a few days or weeks of dictation, you may begin to expand your vocabulary and create auto-texts, customizing your dictation experience. Once you’ve done that, you can add step-by-step commands to provide an extra level of voice control and time savings. Ready to Purchase Dragon Medical One?